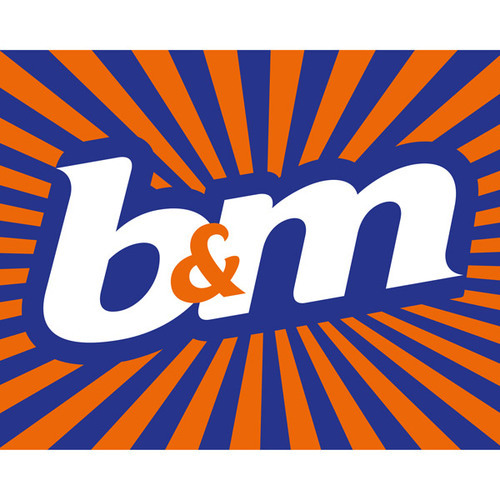 Visit your local B&M store in Tonbridge to stock up on all of your favourite groceries for less. From wine and beer to household products and homeware, health and beauty buys, DIY and electrical goods, baby food, pet food and plenty more besides, you’ll find everything you need in one place and at great prices - meaning your weekly shop will be quicker and cheaper than ever! You’ll find us close to Tonbridge Golf Centre. If you’re travelling by car, simply follow Railway Approach away from Tonbridge Railway Station, heading in a northeasterly direction. When you come to the roundabout, take the third exit onto Vale Road, then leave the next roundabout via the second exit to continue ahead. Keep to the right and continue on Vale Road as it continues, crossing over the next roundabout by taking the first exit and following the curve of the road round, crossing two bridges over the Medway. Shortly after the second bridge, Vale Road becomes Cannon Lane. Continue to follow it for a little over 200 metres, and you’ll see us on your right! You can also take a bus from the railway station, boarding at stop H or I and alighting at stop C near Tonbridge Castle - buses 7, 204, 205, 208, 210, 211, 218, 219, 222 and 402 will all take you here. Once you’ve alighted, continue in the same direction along High Street on foot. After this, take the next right onto East Street, then the third right onto Hadlow Road, continuing in a northeasterly direction. The fourth right will take you onto Garden Road. Continue straight on over Cannon Lane, then take the first right after this, opposite the Tonbridge Golf Centre. You’ll find us right in front of you.